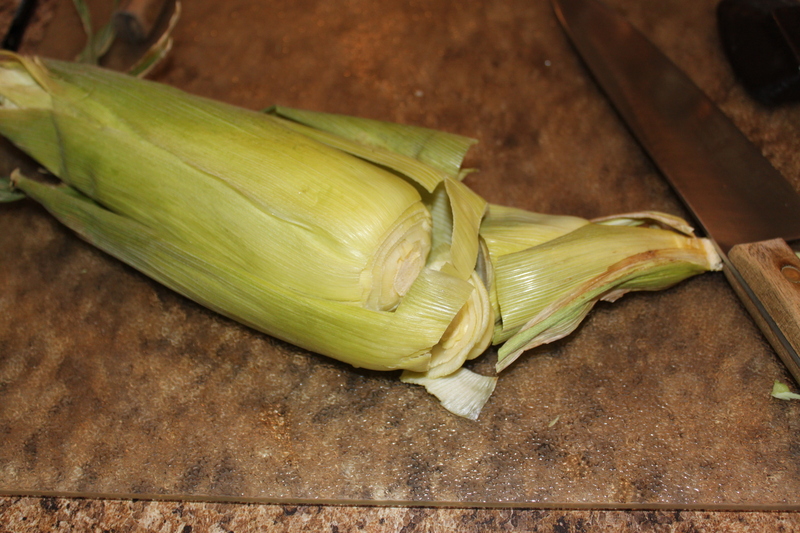 Here is a quick tip on shelling and eating fresh corn on the cob. I used to peel the green off of my corn on the cob. Then I would try to get all the silky hairs off before I wrapped the cob in wax paper and microwaved it. However, thanks to Becky Higgins, I have been converted. Now I put the whole ear, non-peeled, right into the microwave. When it is done (watch out it is steaming hot), I cut off the end and pull the green part away. No silky hairs. If you want to see the visuals and the original instructions go to her post on the Tip from Mom. Sure saves time and mess, not to mention frustration. This entry was posted in Daily Life, Featuring Others, Pinterest by Karen Grosz. Bookmark the permalink.